If you are looking for a professional and trained water repair expert, there several things which you need to consider. 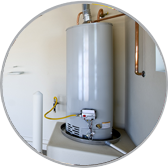 One of the Plumbing Services in Chandler, AZ offered by plumbers is plumbing installations. This includes installing plumbing systems and accessories in residential houses, commercial buildings and industrial premises. The installations can be in new houses, during the construction phase, or during renovations. Their plumbing experts can recommend the right appliances and accessories for your bathroom, sinks and toilet. Another Plumbing Service in Chandler, AZ we offer is bathroom renovations. Whether you need to design your bathroom from scratch or you want to do a few repairs on specific areas, you need the services of professionals who know what they are doing. The professionals will not only arrange for a free consultation but they will also give you a free estimate before they do the renovations. Plumbers also offer drain-laying and drain unblocking services. They offer these services to both residential and commercial clients. Apart from drain-laying and unblocking, they also offer septic tank installation and maintenance. Their septic tank installation services ensure that the environment is protected and that you can reuse valuable water instead of wasting it. They also offer their clients better solutions for waste disposal.